While overall impressions of the Nintendo systems are mixed among gamers, one feature has been almost universally reviled: the company's use of "Friend Codes" to represent players. By requiring users to exchange 12-digit numeric codes just to send messages to friends—and often register game-specific codes to play certain games online together—Nintendo made online features a frustrating afterthought on its systems for years. 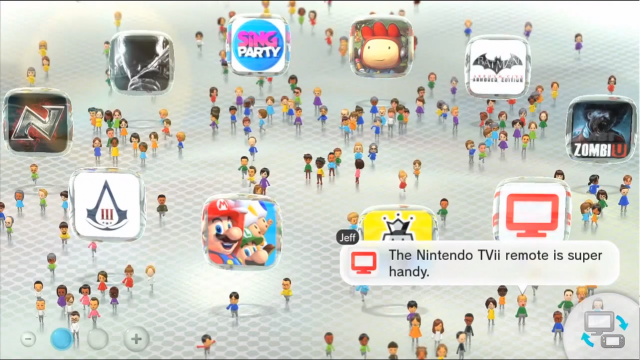 Nintendo is changing that around for the impending launch of the Wii U, replacing the system-assigned Friend Codes with a player-selected Nintendo Network ID. The company is also making it easier to connect with people you run in to while using the system online, opening up what was once a frustratingly closed system. In a Nintendo Direct video message posted this morning, Nintendo president Satoru Iwata introduced the concept of the Nintendo Network ID. It will eventually serve as your online identifier across Nintendo systems and also on browser-based and smartphone apps. Users have to provide a date of birth, gender, general location, and e-mail address to get an account. While the video didn't go into detail about how usernames would be chosen, it appears that users will be able to use an alphanumeric Mii nickname to represent themselves online, along with a custom-made Mii character. The Tendo Project – Daily Nintendo News is powered by	WordPress 5.0.4 and delivered to you in 1.773 seconds using 41 queries.